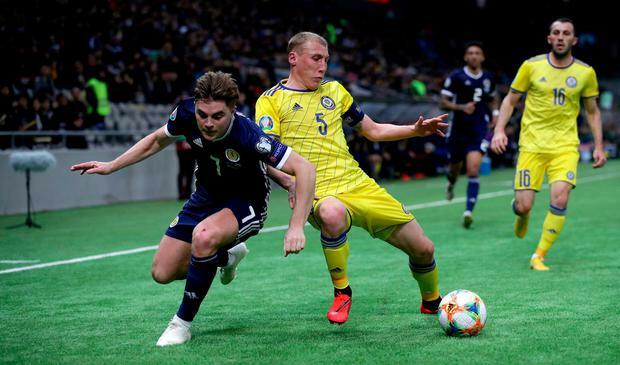 Twickenham without the comeback - that was the fate of Scotland's footballers as their Euro 2020 qualifying campaign got off to a calamitous start in Nursultan, the newly-renamed capital of Kazakhstan. Like their rugby counterparts last weekend, the Scots endured an abject first half but, unlike Gregor Townsend's men, who stunned England, Alex McLeish's players were unable to summon any positives. 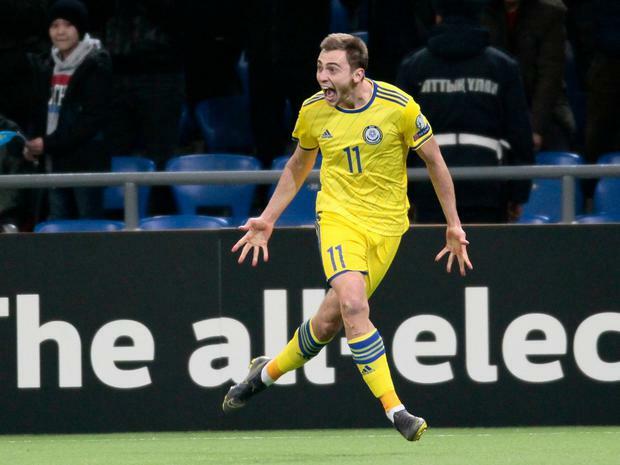 Kazakhstan came in ranked 117th in the world, a team able to boast only on victory in their 16 most recent competitive games. In fairness, McLeish had to assemble a patchwork team, with six changes from the victories over Albania and Israel. 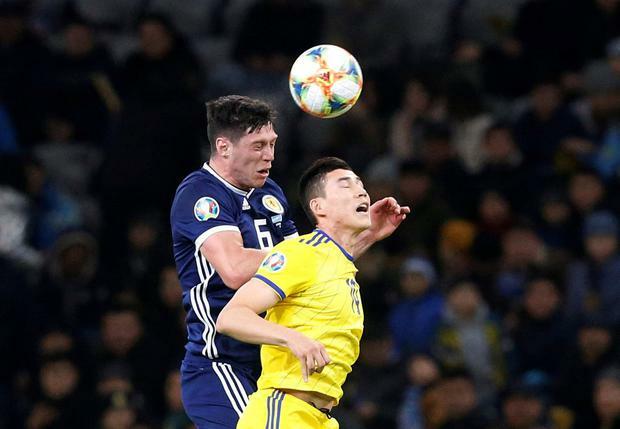 It took only four minutes for the tide of yellow jerseys to breach Scotland's defence. Alexander Merkel played a chip over the Scottish back line for Yuri Pertsukh to shoot home off the crossbar. Four minutes later, the Kazakh captain, Islambek Kuat, played a precise pass which was met by Yan Vorogovskiy on the slide. Any notion a transformed team would emerge for the second half was soon dispelled when Baktiyar Zaynutdinov headed home. "At half-time we tried to change the system a little to unsettle Kazakhstan but they were first to the second balls and, after a good start, we just didn't get up to speed," said McLeish.